Great Country Farms is going to the dogs! Bring your furry friend for a day that is all about them: the Dog Days Bloom Festival. Fetch Frisbees alongside competition-level canines, meet vendors with specialty pet products, receive training tips and compete in the Doggy Olympics for prizes! A beer and wine garden will be open serving Dirt Farm Brewing beer and Bluemont Vineyard wine. After a day of tail-wagging fun on the farm, bring your dog up the mountain to Bluemont Vineyard for a Dog Days Yappy Hour! All guests who visit the Tasting Room with their fur friends will receive 10% off their purchase, plus a special dog treat for your four-legged friend. 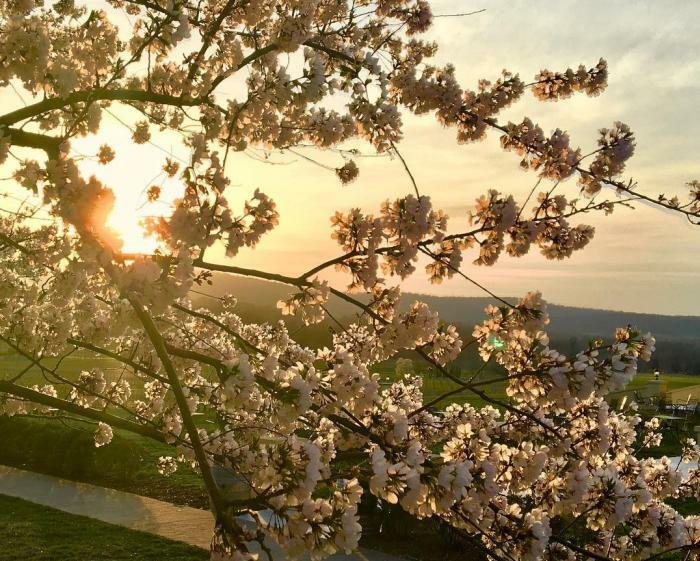 Come out to Breaux Vineyards on this fine spring weekend for the vineyard’s annual Cherry Blossom Celebration! The Breaux blossoms in full bloom create one of the year’s most picturesque scenes at the vineyard. Enjoy live music, browse craft vendors and, of course, wine tastings! Reaching your 1000th brew is a huge deal for any brewery. Beltway Brewing Company has reached this achievement after just 8 years! To mark this momentous occasion, Beltway has created “Batting 1000,” a brew that can make you stand up and cheer or work out the seventh inning stretch. And, trust us, they really knocked it out of the park with this Irish-style red ale! Join the brewery in celebrating the release of this milestone brew at an awesome event featuring food truck fare and live music. Plus, mark your calendars now for their DC101 THIRSTDAY on April 25th, from 3 - 7 PM! This weekend is your chance to be part of a Virginia steeplechase-racing tradition! Held each year at the historic Oatlands Historic House and Gardens, the thrilling Loudoun Hunt Point to Point Races feature riders from across the globe competing upon some of the most challenging timber and hurdle courses. This rain or shine contest event features something for everyone, including vendors, and is always family-friendly. Off to the races we go! Who says that kids get to have all the fun? Hop down to Great Country Farms for an Easter egg hunt just for adults! 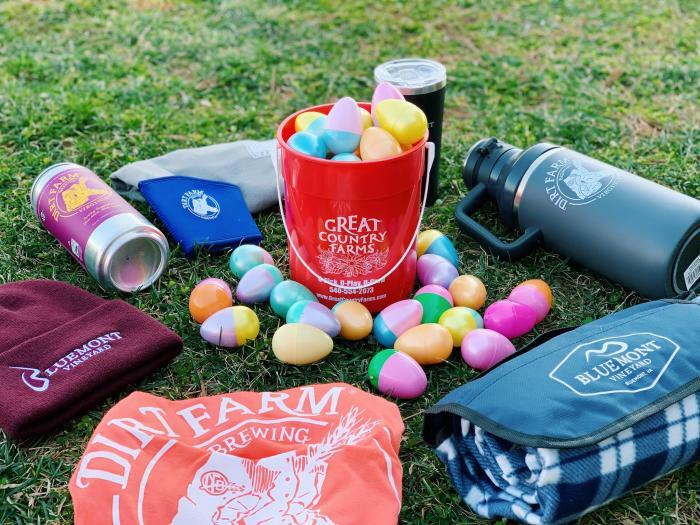 Dirt Farm Brewing, Bluemont Vineyard & Great Country Farms have hidden thousands of treat-filled Easter eggs with some amazing prizes — including special discounts and offers at each business, like tasting experiences and swag, plus raffle ticket-filled eggs for grand prizes, including a stay at Bluemont Vineyard&apos;s Stone Cottage, and of course, plenty of candy! This is one eggs-travaganza you won’t want to miss! Join the National Sporting Library & Museum for a reception celebrating the opening of “Deconstructed: The NSLM Sporting Screen!” This new exhibition centers on a unique, recently-conserved decorative four-panel screen comprised of paintings and prints showing 18th century racing portraits on one side and manège training on the other. The exhibit will cast light on a captivating era in British sport, art, and literature. 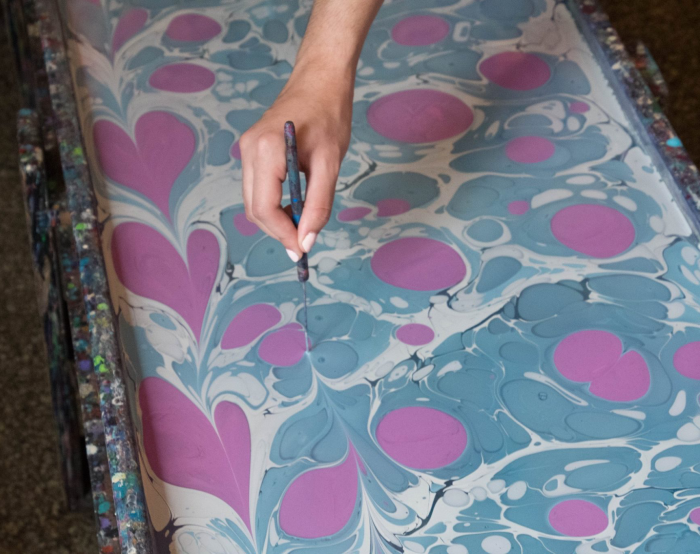 Enjoy a lecture by conservator Deborah Parr, describing how she restored NSLM’s sporting screen. And, don’t miss NSLM’s other brand new exhibit, “NSLMology: Science of Sporting Art,” which invites explorers of all ages to experience scientific principles within three centuries of paintings, sculptures, works on paper, and hands-on activities. Get up close and personal with the physics of locomotion and identify meteorological patterns, ecology, the science of colors, and even chemistry! Plus, get your tickets now for the "Stories of an Abandoned Virginia" event on April 26th at Bear Chase Brewing!